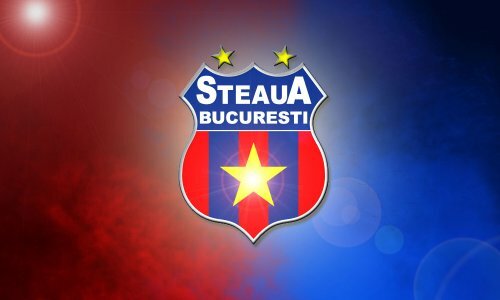 On the 3rd December, a ruling from the High Court of Justice in Romania effectively rendered the club formerly known as Staeua Bucharest as nameless. The Defence Ministry of the former Communist country disputed the club’s right to use the name, and the judge ruled in the military’s favour. If that all seems like a strange scenario, it’s probably best explained by considering a bit of history. The names of clubs in former Eastern Bloc countries often have a similar ring to them. Dynamo, Torpedo, Locomotive and Red Star are common prefixes to the club’s location. These however, are not merely names that founding members thought attractive. Dynamo is the name given to the team nominally representing the Electric Company. Torpedo is the navy team. Locomotive represent the railways and Red Star, or Staeua in Romanian, is the army team. Hence the military claim to the trademark and verdict. The dispute goes back to 2011, when the ministry claimed that the club had been using the brand illegally since 2004. The court’s decision finally decided the case in their favour. Although now a very much weakened organisation, Staeua won the European Cup back in 1986, defeating Barcelona in the final on penalties. All that however, cut little ice in the eyes of the law. Stripped of name, traditional colours and even badge, the club formerly known as Staeua, then had to play a league game on 7th December. Turning out in a yellow strip, rather than the usual blue and red, the club were variously described as “Champions of Romania” “the hosts” or “the home team.” They won the game against over CSMS Iasi, 2-1, but to call it a hollow victory would be an understatement. The screenshot of the scores of the television broadcast even had a blank space were the club’s badge would normally have been displayed. The club’s traditional colours may also be a thing of the past. Ever with a mind to national affairs however, the Defence Ministry agreed that the club could ‘borrow’ the name back for a Europa League game, ironically against Dynamo Kiev – for why that could cause sparks, see above! Fortunately, there is a possible solution in prospect, but only if the club can agree a deal with the ministry. That however may not be a simple matter. The club is currently owned by the controversial businessman Gigi Bencali, and is run by general manager Mihai Stoica. Both are currently serving prison sentences after being convicted of abuse of power; such a scenario being hardly conducive to constructive dialogue. Apart from the European triumph, the club is also the most famous and successful in the history of Romanian football. Since its formation in 1947, it has won the domestic league no less than 25 times, the first being in 1951, and finished as runners-up on 13 occasions. They also have 22 domestic cup triumphs to their name. Most of the top players from Romania have for a time at least, worn the famous blue and red kit of Steaua. Former Chelsea player Dan Petrescu played for them, as did the former Spurs’ midfielders Dumitrescu and Popescu. Often dubbed as the ‘Maradona of the Carpathians’ Romania’s most famous player Gheorge Hagi also turned out for them just short of 100 times, netting 76 goals in the process. Although their owner and general manager are incarcerated, there may still be hope of a resolution. A meeting took place on 8th December at the club’s stadium, to try and reach a solution. To date however, nothing to suggest a satisfactory conclusion has been forthcoming. It certainly likes like one of those cases where ‘common sense’ should prevail, but that’s not always the way it pans out. There’s been little publicity as to the fans’ reaction to the problem, but one can probably expect it not to be positive. I’m unsure as to how it translates into Romanian, but if opposing supports took up the traditional chant of ‘Who are ya?’ you have to wonder what the response would be.